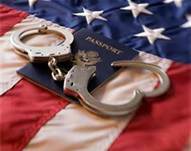 What will happen to all those undocumented immigrants who are denied a two-year deportation deferral or work permit? Well it is safe to say that the $465 application fee is non refundable. Any of those who may feel cheated by Obama & Company can tell it to the Immigration and Customs Enforcement agent that will be knocking on your door. I hope you enjoyed your stay in the United States of America. The Democratic Party would like to thank you in advance for your $ 465 campaign contribution. Nobody ever had your back.